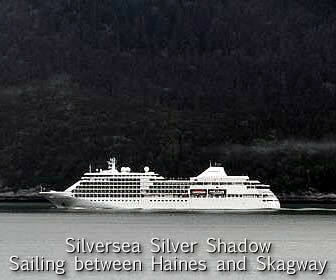 Haines AK is located in Southeast Alaska. One of the few towns of Southeast Alaska that is accessible by driving or via the Alaska Marine Highway System is Haines Alaska. Being both ferry and road accessible is rare in the Alaska Panhandle making Haines one of the hidden jewels found within the state. Residents throughout the state boast about the beauty and calamity of Haines, Alaska. It could be the Chilkat mountain range extending south, the slender waterways surrounding, or even the local microbrewery. Whatever the reason, people love Haines. In addition to its beauty, Haines is also located on the road system at the end of Highway 7, or the Haines Highway, not far from Canada. The city’s location makes it a wonderful takeoff for Inside Passage exploration. Haines offers skiing in the winter as well as rafting,kayaking and mountaineering in the summer. Also from Haines one can load their RV, car, boat, bike and selves onto the Alaska Marine Highway ferry and venture to many more remote places in Southeast, as well as the Gulf of Alaska. Alaska residents frequent Haines for the annual festivals the city hosts. In May Haines has a brew fest, July the musical Southeast State Fair, and in November the Alaska Bald Eagle Festival. 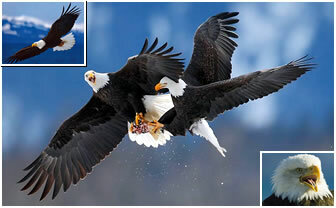 Throughout the fall and winter months Haines holds the highest density of bald eagles in the world. All of these events are high in attendance and wonderful Alaska attractions. In 1990 Disney movie White Fang was filmed in Haines and the movie set still lies in the city. The brew fest and state fair are both hosted on the old Alaska set, providing a lively background for modern day festivities. Haines Brewing Company is located on set as well. The microbrewery serves a variety high ranked beers by the glass or refillable growlers. The brewery certainly knows how wasteful bottling is and has chosen more environmental policies. Haines is a must-stop town when traveling through Southeast Alaska. Drink locally roasted coffee from Mountain Market, wander through The Hammer Museum (literally a museum of hammer history), and either climb or gaze at the Chilkoot Mountain range. You will likely fall for Haines as most tend to do. While no visit to Alaska can incorporate all that this state has to see, it remains a mystery as to why so many folks driving to Alaska fail to experience the sheer beauty of this historical town located in the northern most reaches of the Alaska's Inside Passage. Haines is bordered on the east by Chilkoot Inlet and o the west by Chilkat Inlet with the town site located on Portage Cove on the western side of Chilkoot Inlet.